How can nondirective meditation increase self-knowledge? From the beginning of the Western philosophical tradition, the quest for self-knowledge has been central. We must know ourselves as human beings and our place in the world and in interpersonal relationships, i.e. how our lives should be lived. This was the point of departure when Mattias Solli recently defended his doctoral thesis in philosophy. In his thesis, Solli discusses how nondirective meditation may increase self-knowledge. 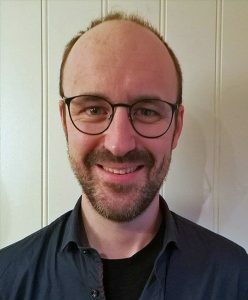 Both his supervisor and the opponents were enthusiastic: “Vividly written, intriguing and very interesting reading,” writes the committee that assessed his thesis at the Norwegian University of Science and Technology (NTNU) in Trondheim. The first time Acem Meditation was the subject of a doctoral thesis was in 2004. Then, medical doctor Erik Ekker Solberg documented that the method contributes to relaxation and that long meditations increase the effect and capacity for achievement and stress management. Solli’s philosophical thesis is the second to focus on this meditative practice, and the first to do so based on qualitative analyses in the Western philosophical tradition. How did you get the idea to base your philosophical doctoral thesis on Acem Meditation? “The idea emerged gradually. I had been practicing Acem Meditation for a long time before I started the project. I had read philosophy with a focus on the meditative, but in the beginning, I only included a few issues from the meditative perspective, and then indirectly. However, as the work proceeded, I included meditation fully and noticed that it opened a vista for many interesting discussions that I otherwise wouldn’t have had the chance to go into. What was it like for you to work on the project? A central aim of the thesis is to document similarities and to establish a dialogue between Eastern meditation practices and Western philosophical traditions. What did you find? “In the Western philosophy tradition, we don’t find any meditation practice that corresponds to what we practice in Acem Meditation. The question of self-knowledge, however, is both an ancient and a current theme. I start with two modern traditions that keep the question alive: philosophical hermeneutics (Hans-Georg Gadamer) and phenomenology (Maurice Merleau-Ponty). Hermeneutics may be described as a philosophy of understanding. It sheds light on what takes place when we understand something – when new knowledge, insight, or understanding emerges. Phenomenology, on the other hand, has good concepts regarding the relationship between body and consciousness, influenced by psychoanalytic theory and behaviorism. “What do we see when we introduce meditation practice into these philosophical traditions? On the one hand, meditation communicates well with central aspects of the philosophies. The thesis provides close analyses of the role of the meditation sound, the use of attention, and the change processes that meditation stimulates. On the other hand, meditation doesn’t quite fit into any of the philosophies in isolation, but apparently hovers somewhere in between them. The problem is that this in-between space is both difficult to articulate and full of gray areas with sliding transitions. Because of this, however, meditation stimulates a discussion of what this in-between space is. By causing friction, it makes visible which areas of each tradition remain underdeveloped, which is what happens when philosophy becomes too abstract, or when it simply omits something without even mentioning it. How is the doctor of philosophy feeling today? “I am relieved and happy about having completed the process. And it’s great fun to have a new title! Mattias Solli is an instructor in Acem Meditation. Congratulations Mattias on your achievement. Hello Mattias, I stumbled across this article while looking for information on Transcendental Meditation. I’ve always been fascinated about it, thanks to the mainstream attention around it. However, somehow I never felt like pursuing it in a serious way. But I really like the idea of Acem Meditation which does not seem to involve heavy spiritual stuff and dependency on directions. Congratulations on your thesis on this comparatively new meditation practice. Look forward to reading more of your work and knowing more about Acem meditation! Self-knowledge is maybe one of the number one things every human needs to learn in his life. This post is very useful on the way more self-knowledge. Great! Getting to know yourself is a wonderful way to grow. Thank you for your hard work in this area. Is it possible to get a link to your thesis?